Amazing liquid floor tiles come in four bright colors that move with every step, jump, dance or hop. 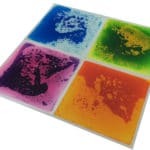 The bold contrasting and changing color patterns are great for stimulating sensory and perceptual development. 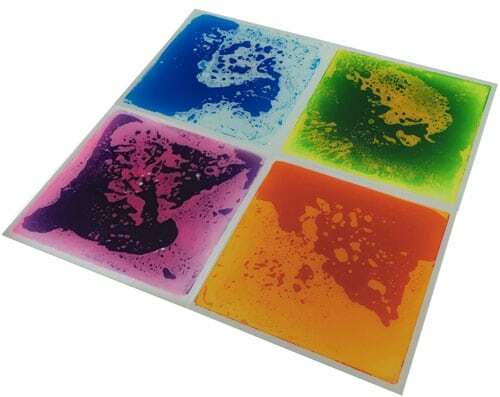 Tiles are super durable, leak-proof, with non-toxic cosmetic liquid and anti-slip backing. 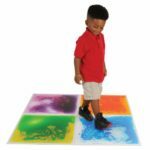 A great addition to your sensory space. They have a textured rubber backing.